INVESTOR AND HANDYMAN ALERT! SOLD AS-IS WHERE IS! NO WARRANTIES! $50,000 bellow the city assessment value. 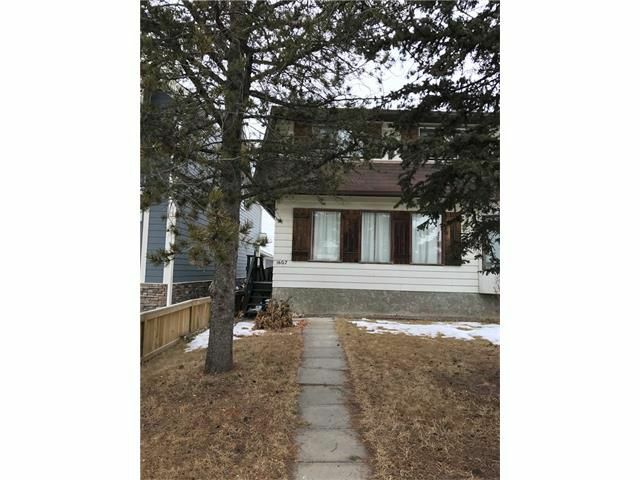 Great Location with lots of potential. Just step away from Shouldice Park, excellent access to Hwy 1, close to U of C, Hospitals, Parks, COP, easy access to DT. 3 Bedrooms up, 1.5 bath, Main floor has good size living room with fireplace and large eat in kitchen. Rooms dimensions to be verified.